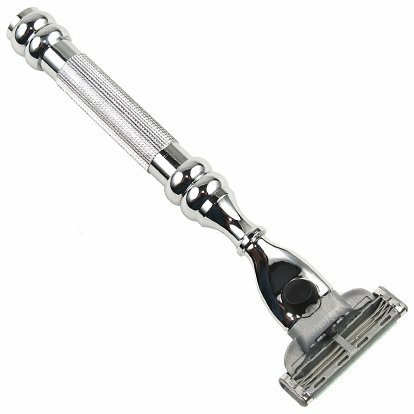 The Parker 43R is compatible with Gillette’s Mach 3 razor blades. This handsome razor has an all metal textured handle which ensures a sure grip. •Comfortable Checkered Knurling on Handle.